Here at the Students’ Union we love feedback! Each bit of feedback we receive, we build on it. We do this because we want to ensure your time here at Edge Hill is as fantastic as possible. At any time in the year you can submit an idea via the Your Ideas page. 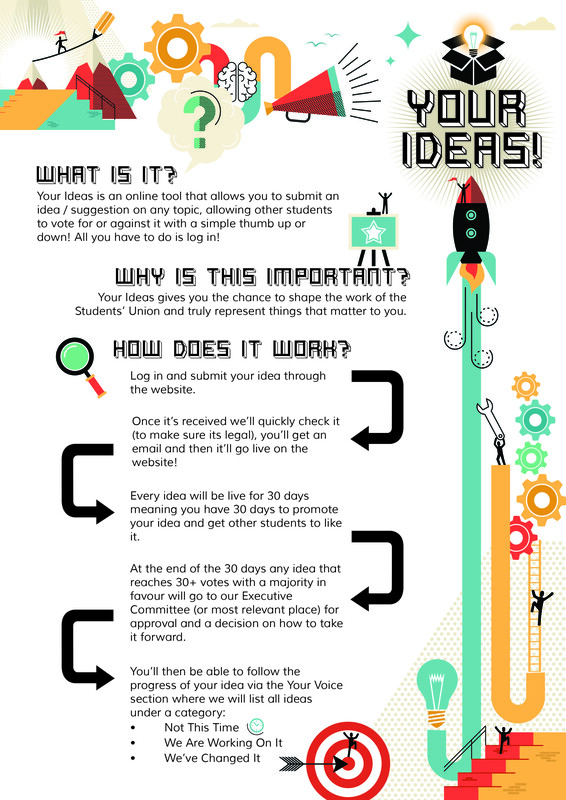 Providing your idea is legal we will put it on the site and students can vote for or against. They can even leave open comments. Your idea will be on the website for 30 days and if at the end of that time it has at least 30 votes with a majority in favour it will go to the relevant meeting to be discussed.